Pierre-Chanel Gauthier (KmeCnin) P. Gauthier, Ed. Currently I am not looking for any job offer. Nevertheless, you can contact me if you have a rocking side project in connection with my interests. "THE COFFEEWARE LICENSE" (Revision 12): P. Gauthier, Ed. wrote this file. As long as you retain this notice you can do whatever you want with it. If we meet some day, and you think this stuff is worth it, you can buy me a coffee in return. I am mainly focused on back-end programming but I am also curious of other technologies. For 3 years, I have been working mainly as a back-end developer using PHP and the Symfony framework. I do unit testing using PHPUnit and Mockery. In the databases side, I work mainly with MySQL, the Doctrine ORM and some Elasticsearch too. I use Go too in order to build micro-services and short scripts. I am a big fan of CSS too (debugging random positioning during hours!) and used Bootstrap, Less/Sass. I worked a bit with Kafka, Redis, Vagrant. I am familiar with social networks API (Twitter, Facebook, Instagram). For versioning and collaborative work I use Git and Github. I use to code with PhpStorm mainly but also with VSCode and Vim sometimes. I started to work as a developer since 2011. Almost 2 years at Mention (Paris, 75010) as a Back-end Developer. I work on the company main product by adding new features and maintaining legacy. Mainly concerned by back-end, Rest API, micro-services using PHP, Symfony, MySQL, Doctrine, Go, Kafka, Redis, Elasticsearch, PHPUnit. 2 months at Disko (Paris, 75020) as a Full-stack Developer. I maintained web applications using PHP, Symfony, Doctrine, Java. 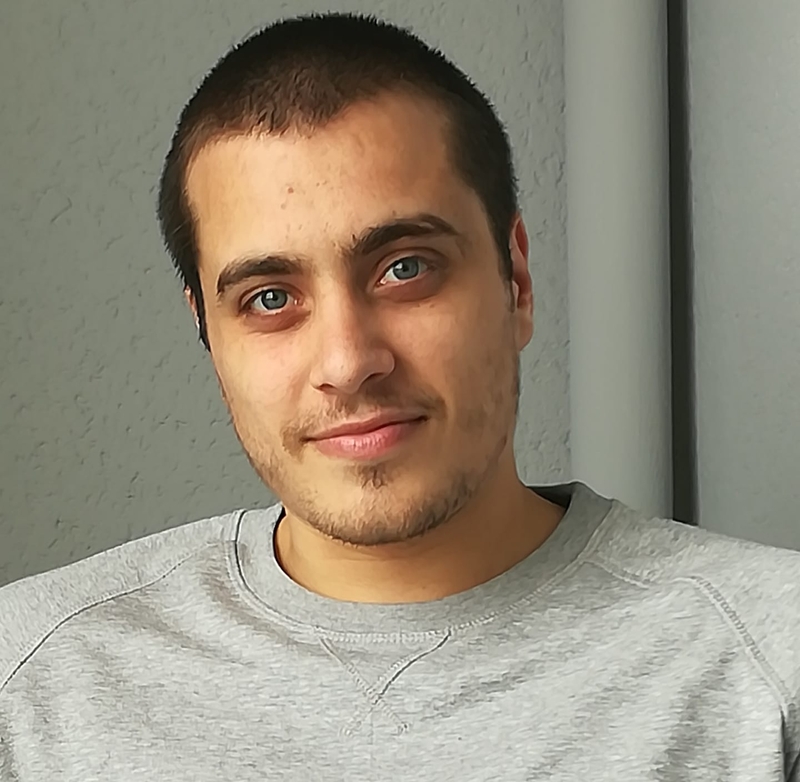 3 months at AirTag (Châtillon, 92320) as a Symfony2 Developer. I maintained the back-end Rest API using PHP, Symfony, Doctrine, RabbitMQ. 3 years at Sirom (Paris, 75010) in apprenticeship as a Full-stack Web Developer. I developed custom web platforms with specific back-office needs for companies using PHP, MySQL, jQuery, CakePHP and Symfony. From first training in bioinformatics, I then decided to specialize in computer science. Student in dual apprenticeship system at ITESCIA (Cergy, 95800). Student at Faculty of Sciences of Luminy (Marseille, 13288). Trainee at Tuft University, department of biomedical engineering (Boston, USA). Cell culture and computer processing of experimental results. Student at University of Clermont-Auvergne (Aurillac, 15013). Training in the field of bioinformatics. Ability to develop programs and design systems adapted to biologists through a versatile learning. A software that generate probability distribution from a dice throw. Written in Go. See the Github repository. Open-source platform designed in order to make life of Role Playing Game players easier. Written in PHP 7 using Symfony2. See the Github repository. I am a big fan of science vulgarization, especially physics, mathematics, biology but also philosophy or economics. I like spending time with my friends, around a table, playing RPG all day long. Since a few years I practice airsoft with a team of friends near Paris.